The A1 premium supermini is proving to be an astounding success for Audi. 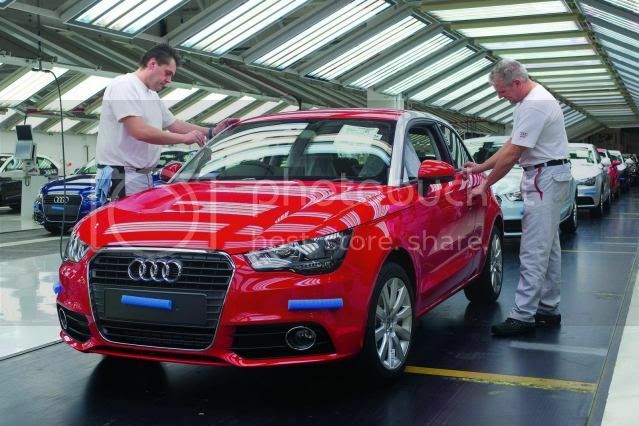 Just after one year since its launch and without any assistance from the United States or China, the 100,000th A1 rolled off the production line at the marque's Brussels facility in Belgium. The ice white milestone model was bearing the signatures of 2,400 workers in colours of the Belgian flag: yellow, red and black. 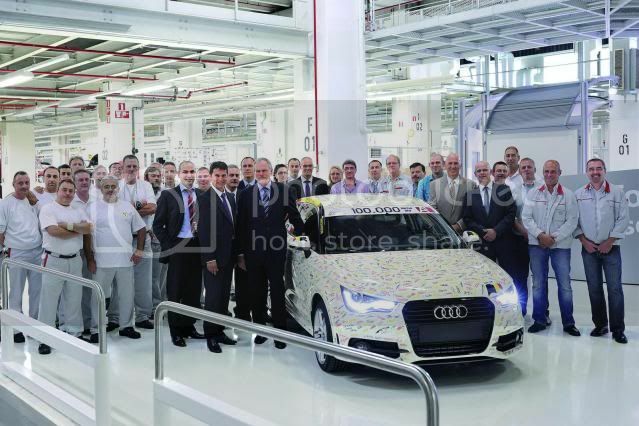 The milestone was so important that Audi invited King Albert II of Belgium to see off the 100,000th car and was treated to a factory tour with the factory's Rupert Stadler. Audi obtained the Brussels complex from Volkswagen in 2007 and has since invested around €300 million to bring it up to date. It's understood that Audi will be expanding the A1 line-up with a 5dr, convertible, all-wheel-drive Quattro, and performance S1 variants.